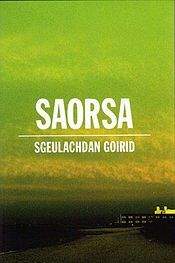 Fhuair ACDD dà lèirmheas uabhasach taiceil an t-seachdain seo. 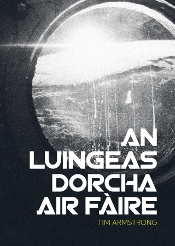 ’S e a’ chiad lèirmheas fear le Alison Lang air Goodreads. 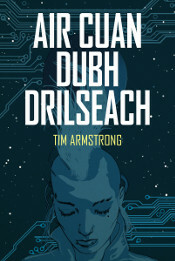 Sgrìobh i gun do chòrd na caractaran ann an ACDD rithe gu sònraichte: “The best sci-fi creates a world that reflects our own, and if the characters that inhabit that world evoke our sympathies we will want to revisit it, which is what I wanted to do by the end of Air Cuan Dubh Drilseach.” Chòrd iad agus riumsa. Nuair a chuir mi crìoch air an sgeulachd ghoirid, Luathas-teichidh, bha mi ag iarraidh cumail a’ dol a’ crochadh a-mach còmhla ri Sàl agus Rìosa, agus ’s e sin an t-adhbhar a bu mhotha gun do sgrìobh mi ACDD. Is fior toil leam Sàl agus Rìosa agus tha e a’ toirt tlachd mhòr dhomh leughadh gu bheil daoine eile titheach orra cuideachd. Sgrìobhadh an dàrna lèirmheas le Iain MacLeòid anns a’ Bottle Imp, agus e a’ beachdachadh, chan ann a-mhàin air ACDD, ach cuideachd, air a’ cheist, carson nach eil barrachd ficsean-saidheans anns a’ Ghàidhlig anns an fharsaingeachd. Mar a sgrìobh e, “A language in danger of dying tends to inspire those who know it to contemplate all sorts of futures.” Tha MacLeòid a’ freagairt na ceist aige fhèin leis a’ bheachd gu bheil àireamh cho beag de nobhailean ficsean-saidheans againn anns a’ Ghàidhlig air sàilleabh gu bheil an àireamh de nobhailean Gàidhlig cho beag san fharsaingeachd, agus saoilidh mi gu bheil e ceart. Tha rudeigin gu sònraichte saorsachail mu dheidhinn sgrìobhadh agus leughadh ficsean-saidheans anns a’ Ghàidhlig agus tha mi an dòchas gum faic sinn fada a bharrachd dheth anns an àm ri teachd mar sin.